Do you have questions about a possible Ischemic Strokes case? Contact us now using this confidential form or Call Us At (800) 674-3082. We'll help you get answers. Nearly all strokes, around 87%, are called ischemic strokes. Ischemic strokes are caused when blood flow to a portion of the brain is obstructed. Ischemic strokes are sometimes called “dry” strokes because blood flow to the brain is prevented or reduced. Ischemic strokes occur when clots or other “material” plug a blood vessel restricting blood flow to the brain. Can I File A Medical Malpractice Lawsuit for an Ischemic (“Dry”) Stroke? How do I Hire You to be my Ischemic Strokes Lawyer? There are a number of conditions that can cause ischemic strokes. 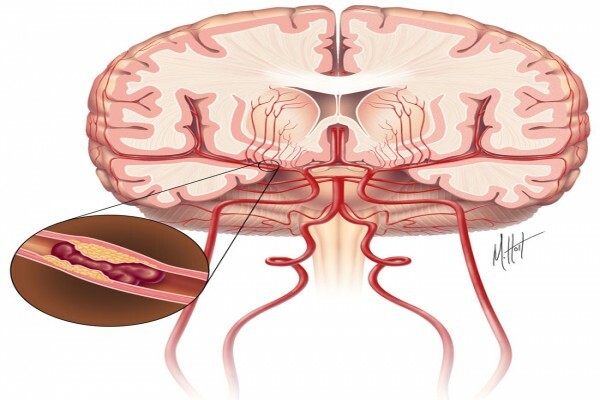 The primary reasons for an ischemic stroke are usually a blood clot or a fatty deposit called plaque that forms on the walls of an artery (atherosclerosis). Patients are often given medications to reduce high blood cholesterol to prevent plaque from forming and breaking loose. Doctors can also perform medical procedures to remove plaque that has formed in the arteries. Any doctor who treats stroke, including primary care doctors, emergency department doctors, neurologists, and even non-physicians, like physician assistants, nurse practitioners, and paramedics, should all be aware of the signs and symptoms of a stroke. A blood clot that clogs an artery can form in different locations in the body. When the clot forms at the area of the blocked blood vessel, it is called a cerebral thrombosis. Do you have questions about a possible Ischemic Strokes case? Click below to start an investigation with us or call us at 800-674-3082. We'll help you get answers. When the blood clot forms in another area of the body and then travels to the brain, it is called a cerebral embolism. Cerebral emboli often form in the heart or the arteries of the neck or upper chest. The clot can then come loose and travel to the brain where it can become lodged in a blood vessel. Wherever it starts, a blood clot in the brain can be deadly. Another important cause of a cerebral embolism is atrial fibrillation, commonly called A-fib. Atrial fibrillation is an irregular heartbeat. Atrial fibrillation can cause blood clots to form in the heart and travel to the brain. To prevent blood clots from forming in the heart from atrial fibrillation, patients are often given anticoagulant (blood thinners) like warfarin (Coumadin), heparin, or Lovenox. When a patient has a TIA, it should be seen as a warning that a much more serious stroke will occur if something doesn’t change. A doctor should never ignore a TIA. A doctor should consider a TIA to be a very serious warning. Like an ischemic stroke or “dry stroke,” a TIA is caused by a clot. The only difference between a TIA and a full-blown stroke is that the blockage caused by a TIA is temporary or transient. This is where a TIA gets its name. The blockage caused by the clot is transient or short-lived. TIA symptoms occur rapidly and last a short time. The average TIA lasts about 1 minute. Most TIAs last less than 5 minutes. TIAs usually cause no permanent damage. However, if the underlying condition that caused the clot is not treated, a much more serious stroke may be on the way. About 1/3 of patients who experience a TIA go on to suffer a full-blown stroke within a year. Doctors should initially treat a TIA no differently than a stroke. The symptoms of a TIA are no different than a regular stroke. Until tests are performed and medication is given, doctors cannot immediately know whether the patient had a TIA or a stroke. Also, by recognizing a warning stroke, doctors can potentially prevent a major stroke from occurring. About 80 percent of all strokes are preventable. Strokes are prevented by managing risk factors. It starts with managing key risk factors. These risk factors include high blood pressure, atrial fibrillation, obesity, diabetes, high blood cholesterol, and physical inactivity. Some populations of patients, including many minorities in the United States, face increased stroke risks because of heightened risk factors. The increased risk factors can be both environmental and genetic, including having sickle cell disease (aka sickle cell anemia). 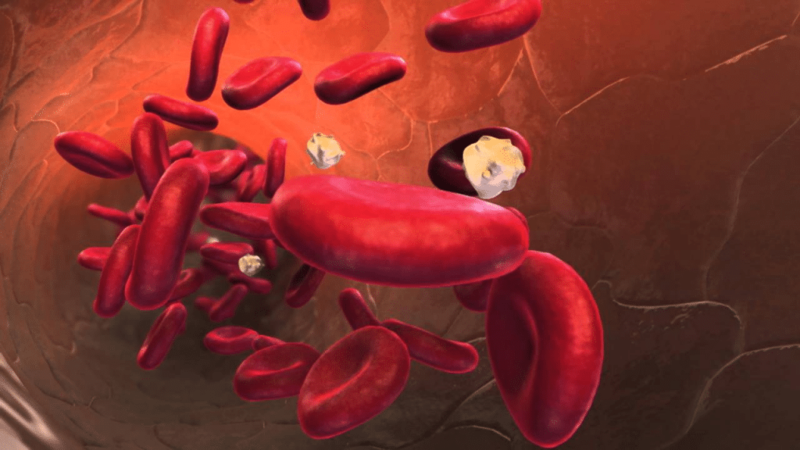 Sickle cell disease can cause recurrent blood clots and strokes. The most important risk factor for stroke is high blood pressure (hypertension). More than fifty-percent of all strokes are caused in some way by high blood pressure. Atrial fibrillation is another major risk factor for ischemic stroke, because it can cause blood clots to form in the heart and travel to the brain. Antihypertensives are medications that treat high blood pressure. These medications can reduce blood pressure in one of three ways. They can lower blood pressure by opening the blood vessels, decreasing blood volume, or decreasing the rate and/or force of heart contraction. Regardless of how they work, anithypertensives are important to control blood pressure and prevent strokes. A physician’s failure to monitor a person’s blood pressure and control blood pressure is a major source of medical malpractice. This is especially true when the patient suffers a stroke or other problem because of poorly controlled blood pressure. Antiplatelet and anticoagulant therapies are primary methods to control conditions that can cause blood clots. Because blood clots result in strokes by depriving the brain of oxygen, it is important that physicians treat these conditions with antiplatelet and/or anticoagulant therapy. Antiplatelet and anticoagulant drugs do not break up clots once they form. But antiplatelet and anticoagulant can stop a clot from ever forming. Therefore, if a patient has a condition likely to cause blood clots, it’s important for physicians treat patients with either antiplatelet or anticoagulant therapy. Blood platelets are critical components of the body’s clotting mechanism, but can also be responsible for strokes. To “help out,” other platelets come and join together. These joining forces cause the blood to clot. Without this chemical (thromboxane) being released, platelets would not get stuck together and the cut or injury will continue to bleed. If you have a cut, the chemical thromboxane is important to keep you from bleeding to death. But if you’re a stroke survivor or prone to suffering blood clots, thromboxane can be deadly as it continually tells your body to form clots, even when they are not needed. Antiplatelet drugs inhibit the creation of thromboxane. Without question, the most commonly used antiplatelet agent is aspirin. Other antiplatelet agents include ticlopidine (Ticlid), clopidogrel (Plavix), and dipyridamole (Persantine). Aspirin is recommended to prevent a first stroke. In fact, taking aspiring within 2 days of an ischemic stroke reduces the severity of the stroke. In some cases, aspirin can even prevent death. After a stroke has occurred, however, other antiplatelet medications become most important. For long term prevention of stroke, antiplatelet therapy is recommended. If a patient has a history of ischemic stroke or TIA, it is likely that a doctor will place that patient on antiplatelet therapy for the remainder of the patient’s life. If a physician chooses not to place a patient on antiplatelet therapy and the patient goes on to suffer a stroke, the physician may have committed medical malpractice. Anticoagulants are another form of therapy that can be given to prevent blood clots from forming. Anticoagulants inhibit blood from clotting by targeting clotting factors. Blood clots form when clotting factors are uncontrolled. 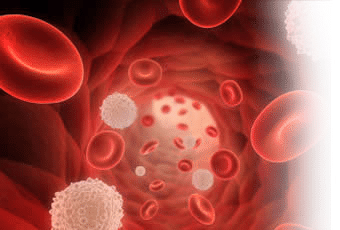 What are clotting factors? Clotting factors are proteins that are made in the liver. But these clotting factors cannot be made without Vitamin K. Vitamin K is a common food found in many vegetables. Foods rich in Vitamin K include cabbage, cauliflower, spinach and other leafy green vegetables. Anticoagulants slow the blood’s ability to form clots by competing with Vitamin K. The most well-known and commonly used anticoagulants include warfarin (Coumadin), heparin, and low-weight molecular heparin (Lovenox). Anticoagulants are more aggressive drugs than antiplatelets. Anticoagulants are recommended primarily for people with a high risk of stroke and people with atrial fibrillation (a-fib). Atrial fibrillation is a very common condition with almost 3 million sufferers. Atrial fibrillation is an arrhythmia (out of rhythm heart beat) where the atria (the heart’s pumping chamber) quivers instead of beats. Because the heart is not beating as it should, not all of the blood is pumped out of the heart. This allows blood pools to collect in the heart. These pools of stagnant blood quickly begin to clot. These clots can travel to the brain causing a stroke. The American Heart Association recommends that most atrial fibrillation patients over age 65 receive some sort of anticoagulant therapy. If a physician chooses not to give a patient with atrial fibrillation some form of anticoagulant therapy and the patient suffers a stroke, it is likely medical malpractice. Anticoagulants can be affected by other drugs, vitamins and certain foods. Because some anticoagulants compete with Vitamin K, doctors should counsel their patients about dietary restrictions. Some vegetables can cause an imbalance if eaten improperly. Also, many drugs can make anticoagulants more or less effective. Doctors should be mindful of any medications a patient takes in order determine whether the anticoagulant, like Coumadin, is going to be effective. It is the doctor’s responsibility to make sure that the amount and type of medication is effective. Anticoagulant therapy with warfarin requires regular blood tests. These blood tests are needed to make sure that the patient is getting the correct dose. The blood is tested by checking something called INR levels. A weak dosage of warfarin increases the risk of stroke and heart attack because it is not preventing the blood from clotting. Too much Coumadin puts someone at risk for bleeding. If someone has too much warfarin in his system, it can result in bleeding in the brain through a hemorrhagic stroke. Hemorrhagic stroke is the other major type of stroke. When plaque forms in an artery (atherosclerosis), it can result in a stroke. Medical procedures may be needed to remove or reduce this plaque buildup. Some possible medical interventions include carotid artery surgery and angioplasty. Carotid endarterectomy, also called carotid artery surgery, is a procedure in which blood vessel blockage (fatty plaque) is surgically removed from the carotid artery. Doctors sometimes use balloon angioplasty and implantable steel screens called stents to treat cardiovascular disease and help open up the blocked blood vessel. Quick stroke treatment can save lives. Delayed stroke treatment can take lives. Remember: time lost is brain lost. If you or someone you know is having a stroke, it’s critical that you get medical attention immediately. Not only should you get to a hospital immediately, it’s important that doctors immediately diagnose and treat stroke. Any delay in diagnosing or treating stroke, may be medical malpractice. Many hospitals have timelines for treatment like the one below. Stroke treatment protocols are becoming common. Failure to comply with these protocols is medical malpractice. The only FDA approved medication for ischemic strokes is the clot-busting medication tissue plasminogen activator (tPA). It is given through an IV in the arm. tPA works by dissolving the clot. When the clot is dissolved, blood flow to the brain is improved. If administered within 3 hours (and up to 4.5 hours in some patients), tPA improves the chances of recovering from a stroke. Many stroke victims don’t get to the hospital in time for tPA treatment. It’s important to identify a stroke immediately so that treatment can be provided. Many recent reports have shown that patients don’t get tPA as often as they should. This is especially true for women, the elderly, and minorities. tPA is now the standard of care. Doctors should give tPA to patients or immediately transfer patients to a facility where it can be given. An effort is taking place to certify hospitals as primary stroke centers. Primary stroke centers meet basic standards of stroke care. These include the availability of CT scanning, neurological evaluations, and timely handling of acute stroke patients. Many hospitals have developed a “Code Stroke” approach in this fashion with standardized protocols that allow for rapid implementation of stroke evaluation and care. This typically includes being seen as soon as possible by the appropriate personnel, having the correct diagnostic tests performed, and being administered tPA anywhere from an hour to three hours after the onset of stroke-like symptoms. A doctor should have a good and clearly documented reason for not giving tPA. A decision to not give tPA without a clear reason is medical malpractice and may make a stroke much worse. Failure by the hospital to provide essential facilities (24-hour CT technician availability, streamlined care paths in the ED) may create liability for the hospital and physicians. In the best interest of patient care and malpractice avoidance, the neurologist should collaborate actively with both emergency staff and hospital administration to guarantee appropriate care or transfer of patients who potentially meet tPA criteria. Doctors can manually remove a blood clot through a procedure called a mechanical thrombectomy. Doctors send a wire-caged device called a stent retriever. To remove the brain clot, doctors thread a catheter through an artery in the groin up to the blocked artery in the brain. The stent opens and grabs the clot, allowing doctors to remove the stent with the trapped clot. Special suction tubes may also be used. The procedure should be done within six hours of acute stroke symptoms, and only after a patient receives tPA. Yes. A lawsuit for an ischemic or “dry” stroke just is like any other medical condition. If you think that a doctor or hospital was negligent in diagnosing, treating, or preventing an ischemic stroke and it caused an injury, a medical malpractice or negligence lawsuit should be investigated. If you would like us to investigate your stroke medical malpractice lawsuit, you will need to act quickly. There are short time restrictions for filing a lawsuit for medical malpractice or negligence, including for a stroke. You can also call us at 800-674-3082 if you prefer.